The lord of the temple is praised in the hymns of Saint Tirunavukkarasar. The Saint profusely feels that the life had been wasted without knowing and understanding the great grace of the Lord who frees the devotee from sins, ailments, fate, whose neck is beautifully blue. 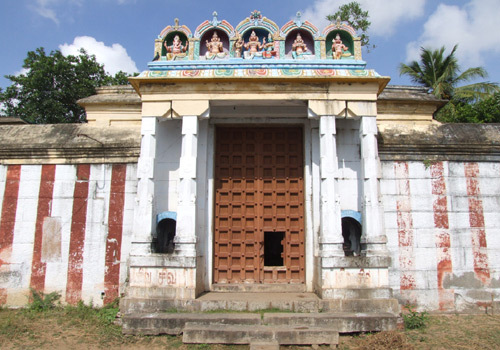 This is the 86th Lord Shiva temple on the southern bank of Cauvery praised in Thevaram hymns. Mother Ambica is praised as Mayil Mevum Kanni. A queen, Tapovadahani by name worshipped Ambica seeking child boon. Responding to her prayer, Mother appeared as a child on a lotus leaf. The queen was happy to have the child and brought Her up. When the child grew and attained the marriageable age, Lord came in the guise of a Brahmin and married her, according to the sthala purana. There are 12 wells in the temple tank. The devotee derives thebenefit of bathing in the Maha Magam tank if he/she bathes here. Also bathing in this temple for 12 new moon days without a break will relieve the devotees of delays in their weddings and also concerns about the welfare of children. This is one of the places where Lord Sri Rama performed Tarpan for His father Dasaratha. Performing Tarpan in this tank is considered equal to performing Shrardha for ancestors in Gaya. Hence, the place is named Kekkarai. Lord of the temple is a swyambumurthy. Rays of Sun God fall on the Lord on Masi Shivrathri day in February-March.Jatayu, an unforgettable character in epic Ramayana who laid his life in the service of Lord Sri Rama performed penance on Lord Shiva here seeking His grace to help him simultaneously bathe in Kasi (now Varanasi) and Rameswaram and attain salvation. Pleased with his penance and his noble aim, Lord appeared before him and said that he would be fighting with Ravana to rescue Mother Sita from his abduction attempt when his wings would be cut off by Ravana. When he would be in acute pain, Sri Rama will come there and that he would be giving the information about the direction Sita was taken by Ravana. Jatayu would fall at his feet and attain salvation. Jatayu asked back how he would be able to fly and bathe in Kasi and Rameswaram if his wings were cut off by Ravana. Lord replied saying that Jatayu wanted only one Sethu Samudra Sanana but bathing in the tank of this temple was equal to bathing in 16 Sethu Snana ghats. It is said that this tank was dug by Lord Vinayaka during Brungi Maharshi period. This Theertham-tank is equal to the Triveni confluence of Ganga, Yamuna and Saraswathi, hence praised as Mukkudal meaning the confluence of three theerthams. A Chola king who was on hunting had to stay here for a night. He had the habit of taking the dinner only after Lord Shiva worship. The horseman made a Linga of the Kollu bag (the grain for horses) and enabled the king to do his Shiva puja before dinner. 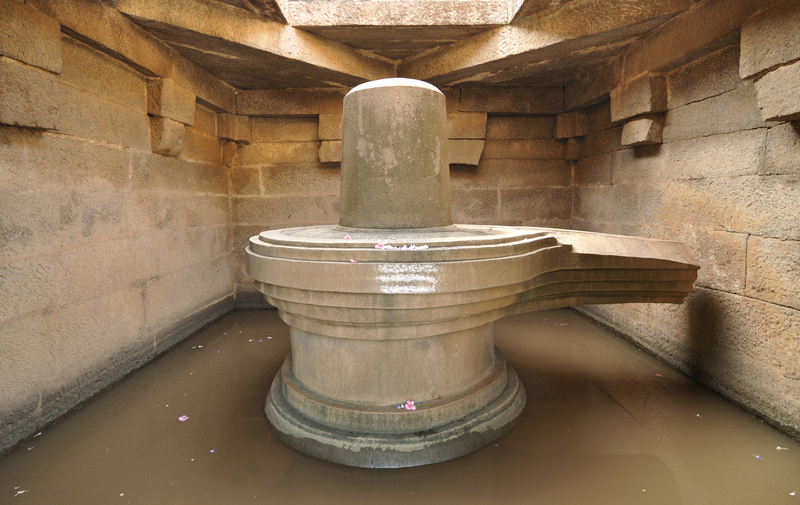 When he later tried to take the bag, he could not as it became a real Shivalinga, according to the history of the place. The temple is open from 6.00 a.m. to 8.00 a.m. and from 5.00 p.m. to 7.00 p.m. Besides all Lord Shiva related festivals, three new moon days in Aadi (July-August), Thai (January-February) and Mahalaya in Purattasi (September-October) are celebrated in the temple with special abisheks and pujas. Sri Iravadeshwarar Temple, Mela Tirumananjeri, ..
Sri Vellimalai Nathar temple, Thiruthangur, Thir..